Unless otherwise specified, you’re not allowed to use pictures on our website, otherwise, it will be deemed as infringement. If there’s any related requirement, please contact the support center. Established links should be fair and legal, which would not damage our reputation, and would not be open to the public: Any contact, approval or recognition from us existing in any form. Those illegal, improper websites or those website that damage our reputation, as well as those not belonging to you, are not allowed to link to our website. At any time, it is required to guarantee our website would not be maliciously framed. 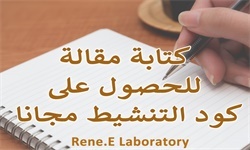 Without permission, you should not use “Rene.E Lab” or “Renee” identity, which is also not allowed to be contained in domain name. Any damage, interference or limitation on use of others, may cause you unable to use our website. Without permission, you’re not allowed to copy our website contents in any form. We reserve the right to retreat such permission for any reason without notice, and the right to ask you to delete materials under copyright protection immediately.